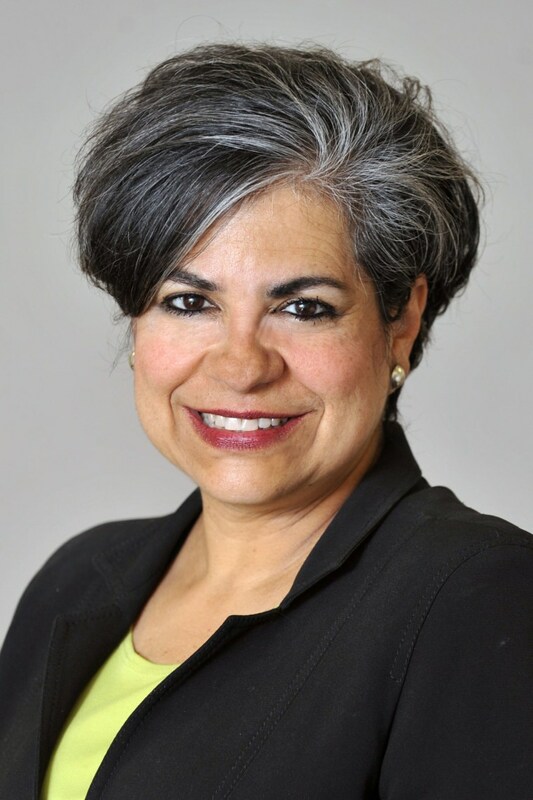 Astrid Chirinos is the Chief Development Executive of the Latin American Economic Development Corporation and was the President of the Latin American Chamber of Commerce of Charlotte, an organization that she helped establish. Throughout her time in her adopted city, Astrid has dedicated herself to developing and managing programs, events and opportunities focused on the economic development, growth, sustainability and success of the Latino Business community in the Charlotte Region. As a child, did you know that you wanted to move 1,900 miles away from home to become a business builder in America? I am not sure if I “knew” but, you know, you believe more in what you do than what you say. So just to give you an example, at my childhood home there was a big tree at the bottom of the steps of my house. This big tree, it kind of created a sort of an umbrella, and every week I would have a big tea party with all my toys and my friends underneath that tree. I would gather my cousins under the tree and we’d have raffles of my toys and to me that was a natural thing have an event every week, adding new toys and whatever. I realize now that I had a desire or a tendency to gather people and connect them. I had no idea I wanted to go into business development as I grew up but I knew that when there were more than 3 people together, ooooooh there was energy there. You could create such a dynamic if there were 10 or more. Then when I was in high school I would be the one organizing events and dances and it was clearly about communicating to the groups and connecting them and that has been the pattern: building relationships, connecting the dots, bringing people together. Some people would say that it’s hard to become a leader even under the best of circumstances, much less being a Latina and an immigrant to the South. What helped you break through barriers? I came here from Venezuela in 1979 at the age of 17. My whole family moved to North Carolina because my dad wanted for us to study in the U.S. and I’ll always be grateful to my parents for having opened up our horizons, awareness and opportunities by bringing us here and getting us beyond our limitations. The U.S. really expands you, it pushes you to grow and I’m grateful for the fact that once I came to the U.S., I was able to become me. Part of it was that because I spoke the most English, I was the spokesperson so I was pushed much faster to understand the dynamics of my surroundings. I was pushed to be strong and to do the best for my family and myself. "Just because we may speak with an accent does not mean that we think with an accent." Early on – even though we were from the middle-upper class and didn’t have the experience of not having – we were in survival mode, still acculturating. I got engaged to and married an American and that’s when I realized I needed to find my identity or else I would be defined what people in North Carolina, or his family, or his work, thought of me. Part of my husband’s family decided I was Italian, not Latina, because they had experience with educated Italians and wanted to think of me that way, not as one of the people that took care of their yards or cleaned their homes. Were there other things about being Latina in the South that you had to work through to be taken seriously? Well, one thing that I tell people is that we all have accents – just like how it’s always 5 o’clock somewhere, people from all over this country have accents just like the people who come here from all over the world. And just because we may speak with an accent does not mean that we think with an accent. As Latinos we come better prepared – many times even better than those who had the benefit of growing up in U.S. – but we don’t realize it because we don’t have the self-esteem or the self-confidence to realize it. We really have to work to define our value and our contributions beyond the stereotypes others might have. Why did you identify such a pressing need to do targeted business development for Latino small businesses? Not very many Latinos understand, or realize, that as newcomers immigrants have the tendency to move from survival mode to safety mode. Latino immigrants don’t easily jump to stages of belonging, self-esteem and self-actualization – we end up missing out on achieving those higher needs, like belonging, because we are totally focused on working. We’re working to take care of our families, working on meeting basic needs. Even as entrepreneurs, instead of creating a whole enterprise we’re thinking about creating a few jobs. But striving for the American Dream takes more that just working. In the U.S., the model of engagement is very different than in Latin American countries. Here you find professional and intellectual growth through community – in our country we tend to do that in the church. In the U.S. it’s hands-on; you have to get out there, build trust and we need to be conscious of that fact. If we’re in this country we have to take advantage of the culture and other opportunities, we didn’t just come here to work. This is why needed to create organizations that could encourage Latino business owners to reach their full potential, to reach for “being” rather than just “doing” – and that’s what creates that belonging. Latinos tend to be isolated, they stay in their group, they bond but don’t bridge. We have to be comfortable bridging, relationship-building and asset-building, because it’s that isolation that keeps us in survival and safety mode. What do you tell new small business owners, and others, looking to get to the next level? Know that when you realize that you have reached a plateau and don’t know how to move forward and you get restless and anxious - you are in the right place. The fact that you are at a stage seeking new answers is exciting because that is when the growth is going to come. So just be willing and open to new things and don’t give up – this is the normal discomfort of growth. Have faith that you will find your purpose. Remember, if you’re feeling discomfort, feeling anxious, this is the best time for you stay the course - the best is yet to come. Esther J. Cepeda is a Chicago-based syndicated columnist and an NBC News Latino contributor. Follow her on Twitter, @estherjcepeda.